Gone are the days that we used to have to suffer in silence with yellow, discoloured teeth. We used to sit at home watching the TV and envy the celebrities that had pearly whites that they were proud to flash. Each time we left the UK it seemed like overseas the teeth of people were whiter and brighter. It was probably because in the UK teeth whitening had not yet taken the nation by storm. Now though it is so easy and reachable that most of the population have had at least one procedure done to whiten the teeth. 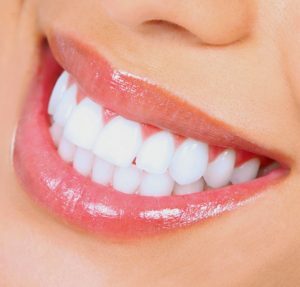 You can achieve up to several shades with just one visit to your dental office with laser teeth whitening. If the dental chair is not something that you are keen on, and you prefer to have the gel to take home then your dentist can offer you the chance to have impressions of your teeth taken. You will be able to have rubber trays crafted that custom fit your teeth and teeth whitening gel that will be able to be worn over a period of time to allow your teeth to change their shade. You need to be very careful of how you achieve your smile though because there are heaps of beauty salons offering the procedure, many are illegal, and many of the people offering the procedure are not trained in dentistry, putting you at risk. There are a lot of kits that offer you the chance to have teeth whitening at home, but many of them are only on offer online and have not been officially approved here at home in the UK. You take a risk with your teeth when ordering such kits online and using them yourself. It is very important that you take your oral hygiene seriously and make sure that you keep on top of your smile. Tooth enamel is the protective layer that covers the teeth. It makes sure that your teeth stay protected from sensitivity and from abrasion (this is where your teeth get discoloured as the original enamel in the teeth erodes and creates a dark stain, usually when you brush the teeth too hard. If you are not a dental professional then you can often confuse abrasion for staining, and when you purchase at home kits to try and correct the issues, you can cause more damage than good. Your dentist will know your teeth and assess them first, enabling a correct prescription that is crafted for your own personal needs when it comes to tooth whitening. Also, if bleaching is not something that you would like to undergo, you can also opt for veneers or other methods of cosmetic dentistry that will allow you the chance to get pearly whites visible each time you flash a smile. Make sure that you book an appointment at VitaSmile today, and arrange a consultation to talk about getting your teeth whitened. Our staff will be happy to talk to you and we love the before and after pics, proving that we are indeed professionals! Contact us today. Making an appointment is quick and easy online. Please fill out the form below and a VitaSmile receptionist will contact you within 24 hours. We will try our best to honour your time and date request. If you have an immediate emergency, please call our office directly at 0208 453 1815.